If You Take a Mouse to School Preschool and Kindergarten activities and crafts. If you take a Mouse to school, first he'll ask you for your lunchbox -- and then he'll want to get his paws on everything, from spelling and math to a messy science experiment. You will find a weekly plan to help children get familiar with their classroom environment and their school with engaging activities and games. 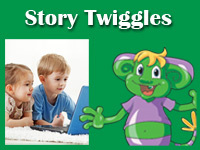 Getting back into the swing of school is this month's theme with the help of the little mouse. 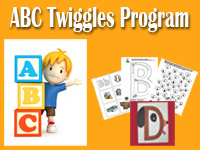 Preschool and kindergarten graduation activities, crafts, and resources. Graduating from preschool or kindergarten is an important milestone in the life of your child. It is a big step to leave preschool and go to kindergarten or to go from kindergarten to first grade. Young children can be struggling with change with a new school, new children, new teacher. They are likely filled with mixed emotions. 100 days of school preschool and kindergarten activities, crafts, games, and printables. 100 is a big number and the one hundredth day of school is a big deal! This month's theme is chock full of ways to celebrate this important milestone. Find songs, rhymes, literacy ideas, math activities, movement activities, recipes, and literature focusing on the number one hundred. To top off the theme, challenge children to bring 100 objects to school glued to a posterboard, arranged in groups of ten, five, or two. Back to School Preschool and Kindergarten Activities, Games, and Crafts. 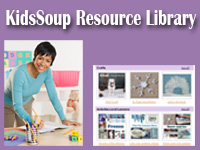 Enjoy our collection and always growing activities and lesson plan ideas to help young children become familiar with their classmates, classroom environment, and school.